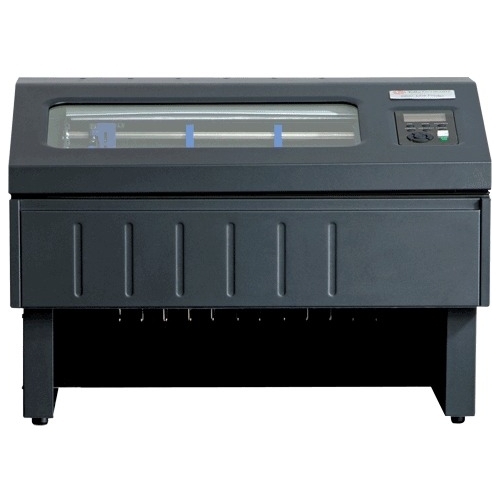 Designed to have a compact footprint, the 6800 Enclosed Pedestal comes loaded with the same built-in quality and performance of the top-of-the-line 6800 cabinet printer. It is designed for customers seeking a quiet, versatile, dependable pedestal-style printer for use in an office with space limitations. The Enclosed Pedestal is easily moved to any space in your office on its industrial strength casters. 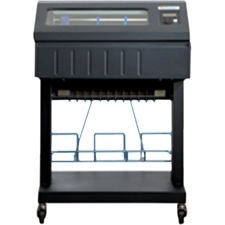 The user can easily reach over the pedestal and collect a form from the adjustable rear tray, or walk around to access larger print runs from the lower tray. Like all the printers in the 6800 family, the Enclosed Pedestal is ENERGY STAR qualified and is ready to plug into your network and start printing from day one.